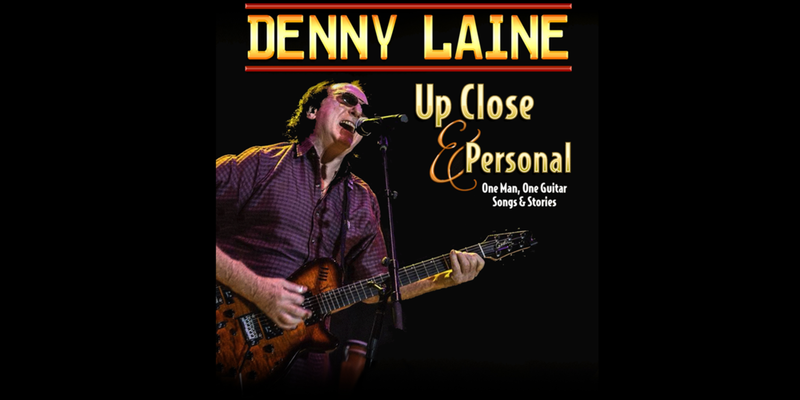 As a Founding Member of THE MOODY BLUES and a Founding Member of WINGS, Rock and Roll Hall of Fame® Inductee DENNY LAINE will be touring America throughout 2019 and 2020 for select SOLO shows. As a premier English songwriter and multi-instrumentalist, Denny is best known for his roles as the original Guitarist and Lead Singer of THE MOODY BLUES from 1964 through 1966 and as the co-founder of WINGS with Paul McCartney. Denny was one of three constants in WINGS, along with Paul and Linda McCartney from 1971 through 1981. The incomparable WINGS album Band on the Run reached #1 in the Billboard® Hot 100 Charts three different times and eventually the album went triple platinum. In the UK, Band on the Run spent 7 weeks at #1 on the UK’s Guinness® Charts of British Hits Singles and went on to be the TOP selling British album of 1974. In 1975, WINGS won the Grammy® Award for Band on the Run, the single and title track from the 1974 album. With the 1976 release of WINGS at the Speed of Sound, the band had become one of the most successful groups of the decade with a top-grossing tour to follow. Denny also performed select solo numbers during their concerts on the WINGS Over America Tour and showcased his talents on many songs, most notably Go Now and Time to Hide. With WINGS, Denny enjoyed the biggest commercial and critical successes of his career, including co-writing the hit Mull of Kintyre, which reached #1 in the UK’s Guinness® Charts of British Hits Singles in 1977 and became the UK's highest-selling single until that time. At the height of the British Invasion, Denny Laine was one of the most recognizable voices on the music scene. Denny departed THE MOODY BLUES and formed THE ELECTRIC STRING BAND, writing the hit Say You Don’t Mind, and opened shows for Jimi Hendrix in London. Denny joined the bands BALLS as well as GINGER BAKER’S AIR FORCE, singing lead on the memorable Man of Constant Sorrow. Throughout his career, Denny has also worked with various members of The Beatles, The Who, Led Zeppelin, Cream, ELO, The Zombies, The Hollies and many more. Denny performs highlights from the Band on The Run and The Magnificent Moodies albums…and more. In April 2018, Denny was honored with the induction into the Rock and Roll Hall of Fame® as a founding member of THE MOODY BLUES. He travel across America performing classic WINGS and MOODY BLUEShits as well as his new material. Filming for PBS is currently planned for March 2019.